As a metro New York resident, business owner and mom, I know the grind of working long and hard hours. Each day we are hitting the pavement aggressively looking to conquer our to-do lists and be as “productive as possible.” However, in our pursuit to conquer all, we often forget to step back to invest the time to create environments that truly allow us to excel and perform at our best potential. Truly thriving isn’t just about putting in the long hours, it’s about putting in your best hours to open up your day to spend your hours the way you want, not the way you have to. The design of a space, work or home, can play a significant role in our productivity and efficiency. Key elements like airflow, light, sound and temperature have a direct impact on our energy or lack there of, our daily awareness, cognitive processing, musculoskeletal health and more. By investing time in creating environments that enable us to thrive, we can position ourselves to live a more fulfilling life. Try to incorporate glass or other non-opaque barriers when privacy isn’t necessary — the open design will add depth and give the room a more open feel. Introduce textures that add dimension to space like unfinished woods and metals. Find opportunities to incorporate plants and botanical life into your space, which give a natural visual stimulus. By incorporating natural elements like snake plants or succulents (that require minimal upkeep) can present a sense of tranquility and bring calm energy to your day. It’s adds an organic way to reduce fatigue, increase oxygen and stimulate neurological levels. 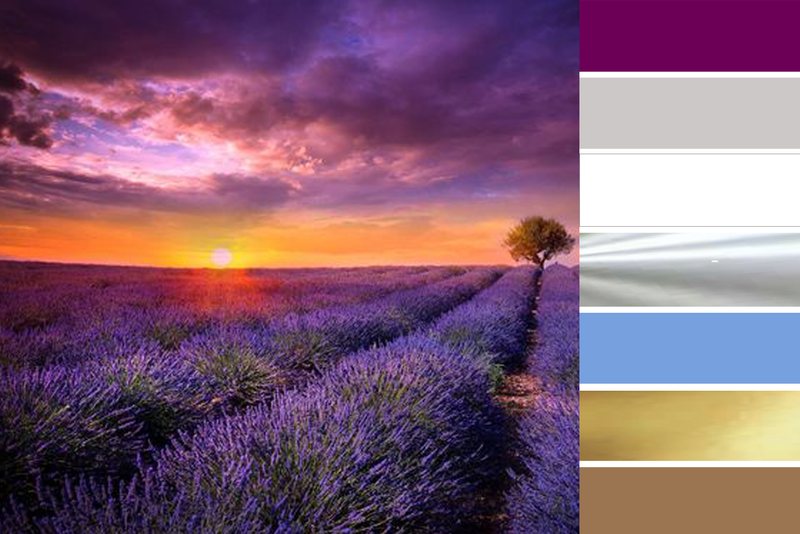 It’s no secret that color has a direct correlation with mood associations. Color can impact focus, creative thinking, energy and enthusiasm. Take time to carefully select color palettes that speak to you and fuel you with the energy you wish to maintain in your space. Keep circulation in mind when deciding color palette. Think of what varying colors will keep energy flowing in your space. Remember that brighter colors are associated more with intensity and focus and paler colors reflect more of an airy lightness and increase the impact of natural light. Think of how you want the space to “speak to you” : do you want a calming environment, a powerful headquarters, a cheerful high energy vibe? Access to nature and daylight helps us regulate our circadian rhythms, the daily cycles of waking and sleeping hours, which can exponentially increase stress if they are out of line. It allows your body to trigger instinctual functions based on the time of day (and whether or not you are asleep); such as prioritizing tissue repair while you are sleeping, and prioritizing the need to eat, ignite metabolic functions and movement while you are awake. Select spaces with window views to outdoor landscapes even if it costs a little extra. Add moments of visual change in your design with varying eyelines and fabrics. Incorporate elements with sensory stimuli in mind such as air aromas or candles. 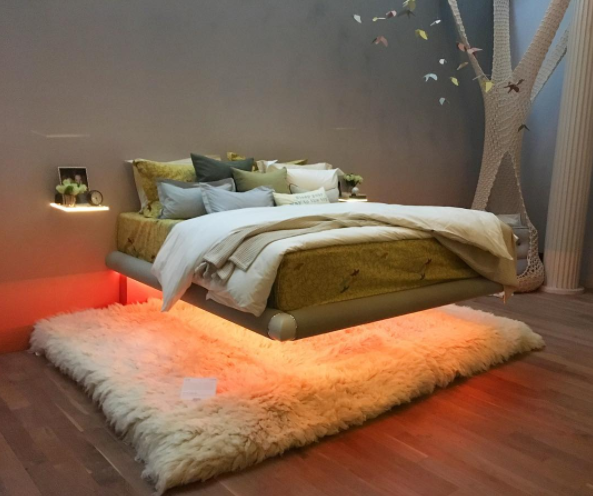 An environment that lacks elements of material variation and sensorial stimulation can drain energy and confuse your natural circadian rhythm. While collective and open community environments are all the trend right now, designing in moments that separate quiet and loud zones are crucial. Collaboration can be priceless but failing to allow for necessary moments of individual thought and private time, can ultimately be more detrimental to creative processes. Often we find ourselves rushing to get into the office early to be more productive during quiet times, or working weekends because they allow for better focus; but our day to day environments don’t have to be void of opportunities for private time to think. By keeping the core elements that impact mood and energy in mind, we can create spaces that support our needs and enhance our performance. When we find the right equilibrium our peak performance will speak for itself, and it’s no longer about working harder, it becomes about working smarter and opening up hours for a healthier and more well rounded life.